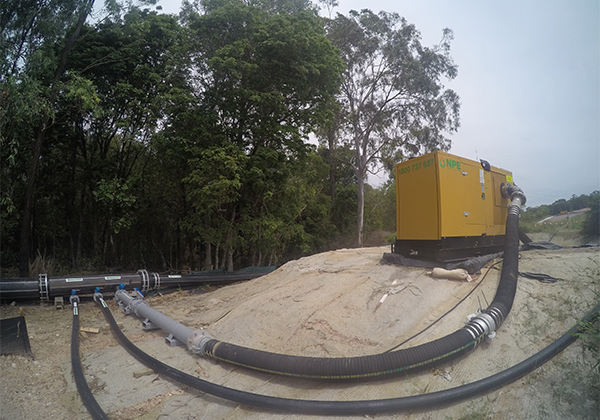 Full civil site dewatering and leachate pumping during civil works. 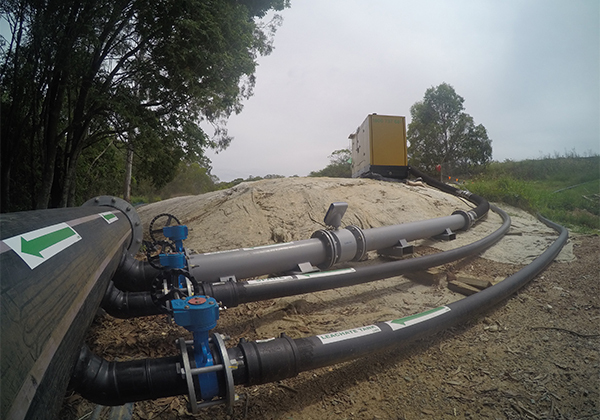 As part of the delicate civil works of a redundant landfill facility that bordered a waterway, NPE were approached by the engineering department to assess the requirements and develop a pumping solution that would ensure total containment and discharge of the leachate water. 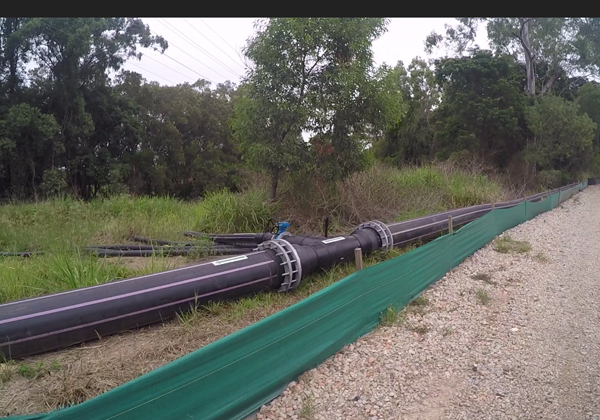 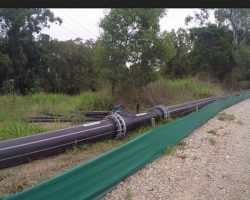 NPE supplied various hire pumps with telemetry controls and 450mm HDPE (poly) pipeline. 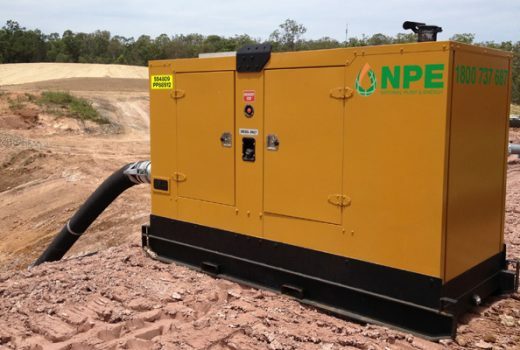 NPE hire pumps for civil site dewatering to reduce or remove water on and below ground water. 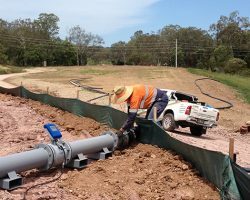 Although it is often a factor that is ignored until site flooding occurs, water management is a crucial aspect of any civil construction activity. 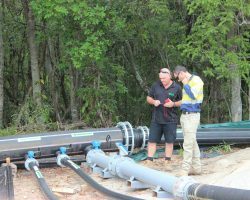 The team at Taft Engineering and the associated contractors and developers were intelligent enough to plan for site dewatering activities and as a result have produced a more productive and environmentally safe worksite. 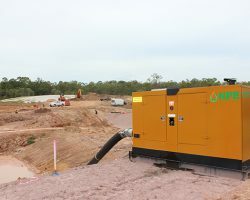 Stringent environmental controls on this site, as with most nowadays, meant that the containment and discharge of leachate water with the potential to be environmentally harmful was critical. 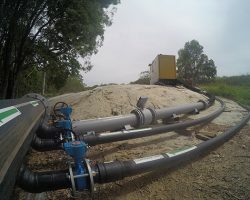 We are pleased to say that the project was a complete success with no spills occurring and the management of water on site carried out to the highest standard with the client extremely happy with the outcome. 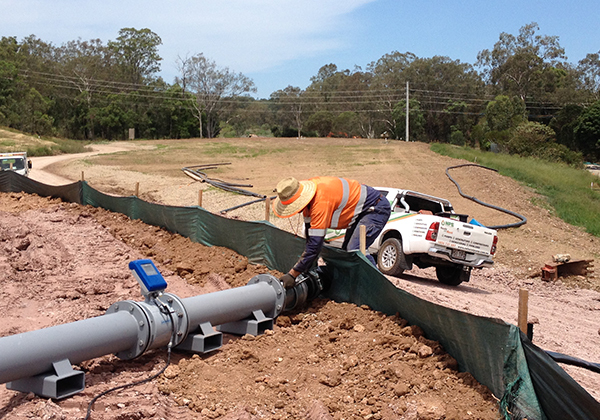 Supply a pumping solution that would ensure total containment and discharge of the leachate water across the site. 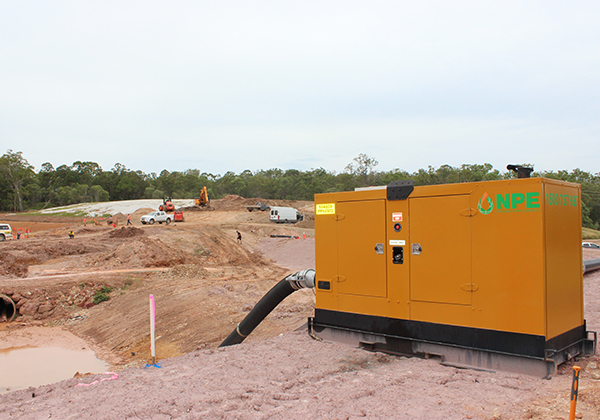 National Pump & Energy have the people, products and expertise to deliver on your project needs. 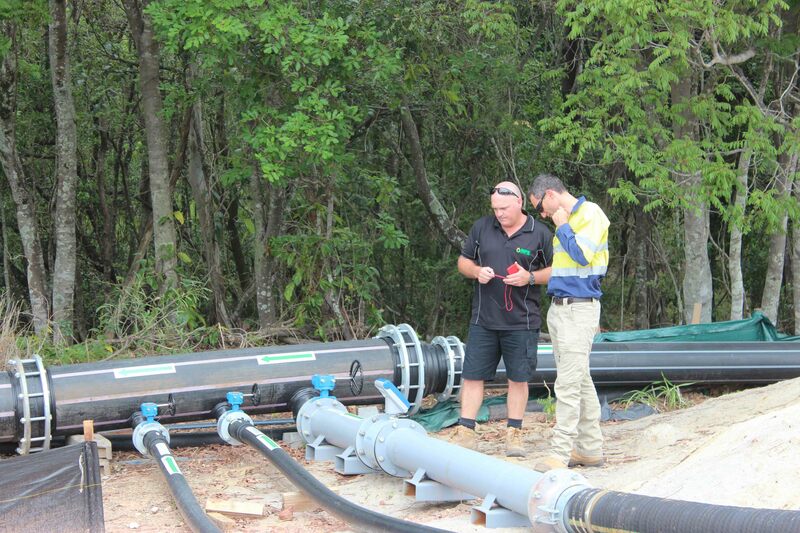 For more information contact us today. 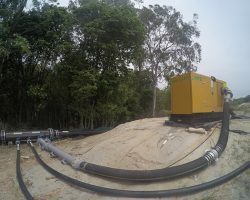 © 2019 National Pump & Energy | Web design and development RJ New Designs and Big Blue Creative.